CSSPath - Path to CSS file. 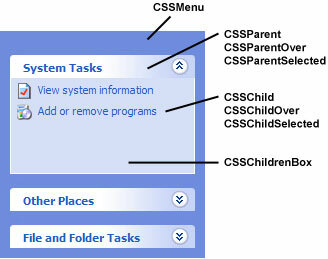 It is not necessary to set CSSPath property if your menu styles are directly on the page or in some common CSS file. This sample menu was built using the following ASP.NET code and the following CSS file. Download Slide Menu for all examples source code and styles.